This is the cinematic announcement trailer for Deus Ex: Mankind Divided. It was created by Goldtooth Creative and Visual Works (a division of Square). 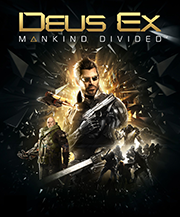 The story is set two years after the events of Deus Ex: Human Revolution.